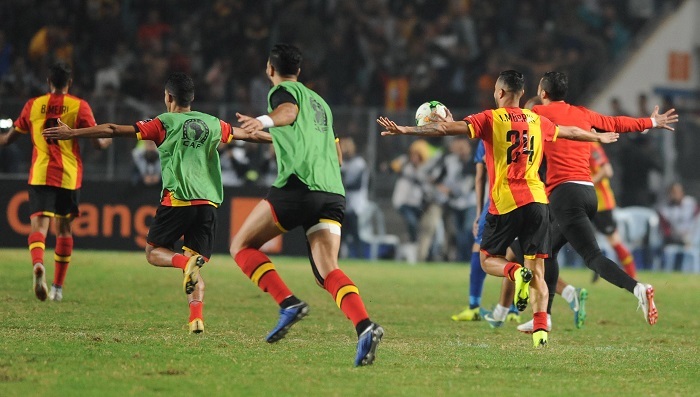 ES Tunis completed a stunning turnaround to claim Caf Champions League glory, winning 3-0 in the second leg to seal a 4-3 aggregate final triumph. Saad Bguir starred with a goal in each half before Anice Badri’s dramatic late strike heralded a third continental triumph for his club, sparking bedlam in the Tunisian capital. Al Ahly took command with a 3-1 triumph on home turf in the first leg, although in the aftermath of an ill-tempered affair the Egyptian side had Walid Azarou banned for unsporting behaviour. Their hosts took advantage of any disquiet and, although they had to wait until first-half stoppage-time to breakthrough, Al Ahly were pinned back under waves of pressure that eventually consumed them. Bguir engineered space in the penalty area to steer in a low strike and send Moine Chaabani’s men into the interval with a timely boost. Al Ahly appeared overwhelmed early in the second half and were at breaking point when Bguir powered home a header from right-back Sameh Derbali’s cross. For all their endeavours and dominance – Al Ahly registered a solitary, off-target shot over the entire match – it looked as if time would run out for the Tunisian side. However, Badri stole possession on halfway in the 86th minute, ran purposefully at a flagging defence and lashed a brilliant strike past Egypt goalkeeper Mohamed El Shenawy from 18 yards.